I still remember the lovely fashion blogs I used to read in 2009, and think what a great job those bloggers did. Then one fine day it hit me to start my own blog to express myself, where I could share my ideas, outfits, tips and a lot more and that’s how Ri(t)ch Styles came into being. I remember sitting on my laptop trying to figure the best platform to have my blog on - figured that blogger was simpler than wordpress, signed up and four days later I was on my way. Those 4 days were spent figuring the best ways to post, picture sourcing details, kind of content that I would post, linking back and alignment(ughh - it sucked then) issues. I had no clue then as to how many people beyond my family and friends and clients(styling business) would read it, but I was highly motivated to get it going! Today I'm glad I took that step, and it has been one of the best decisions of my life. 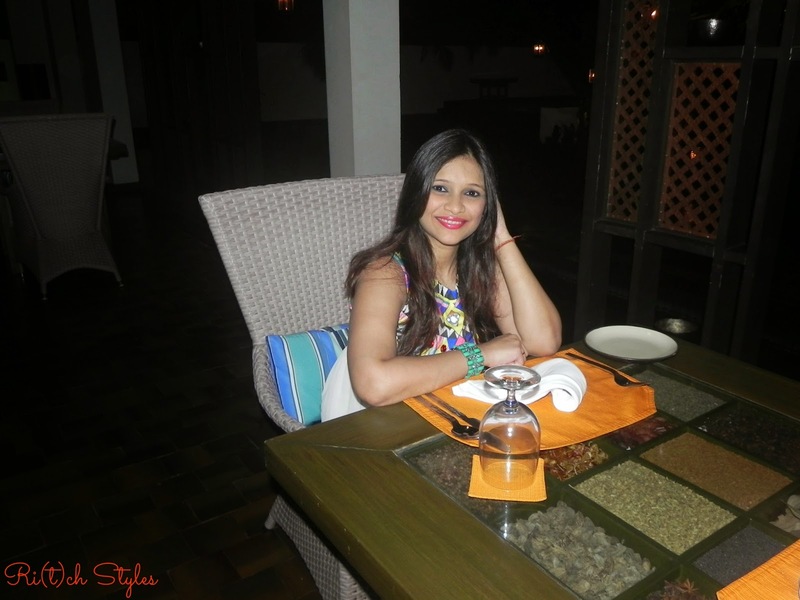 The blog started as a fashion blog and the focus still remains that, but it has transcended into a lifestyle blog that also encompasses beauty, travel, food and other related aspects of lifestyle. In these 5 years the bouquet has become bigger with the Facebook page, Twitter, Instagram and finally a YouTube channel getting added to the Ri(t)ch Styles family. The frequency of your content doesn't matter if your content doesn't engage or give out some kind of information to your reader. Even if you post everyday but the content is not of any interest to your reader, then your efforts are going to go waste. Also if yours is the same content that is on numerous other sites, then the reader doesn't have anything new to read on your blog. I stay away from copy-pasting press releases as I believe in customised content for my readers/followers and my brands. As per feedback from people, this has really helped my blog in standing apart from a lot of others. Also copying or plagiarizing content is a big NO-NO - Be Original! Patient bloggers do not let lack of response or not touching their targets in terms of numbers or page views or comments get to them. It takes time to generate traffic but you should keep churning out blog posts irrespective of the response, believing that sooner or later things will turn around for you. Sometimes a lull comes even from brands getting in touch with you, but treating it positively like an intermission/break for some breathing space works, before reader responses/brand work starts pouring in again. Also there may be days that you face 'Bloggers Block' where your mind is not able to churn out ideas. Don't worry, it's just a matter of time before you get your groove back! You need to be approachable as in be really interested in knowing your followers and fans where in they should be able to reach you through comments, emails and your social media platforms and you should equally interact with them. Nagging followers/stalkers should be politely handled until and unless they cross their limits and that is when you should stop engaging or block them. 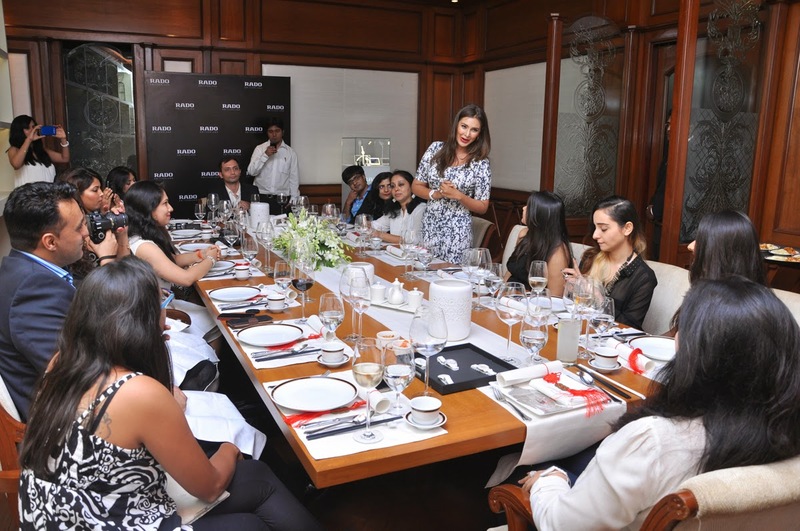 Networking and meeting other bloggers at events or through other mediums like networking platforms, blog comments and more is also important. It helps you learn and grow as part of a community. I have had the privilege of meeting some great bloggers that I have formed healthy relationships with. Building friendly bonds and having a good understanding with the brands you work with is also key. Everything at the end of the day is built on relationships. Thank you to all you lovely people who have supported me in this journey through your reads, follows, comments, motivation and referral to friends and family. I truly appreciate it especially through through the last one year where I haven't been as regular due to my pregnancy, but you guys stuck around. Love you all! 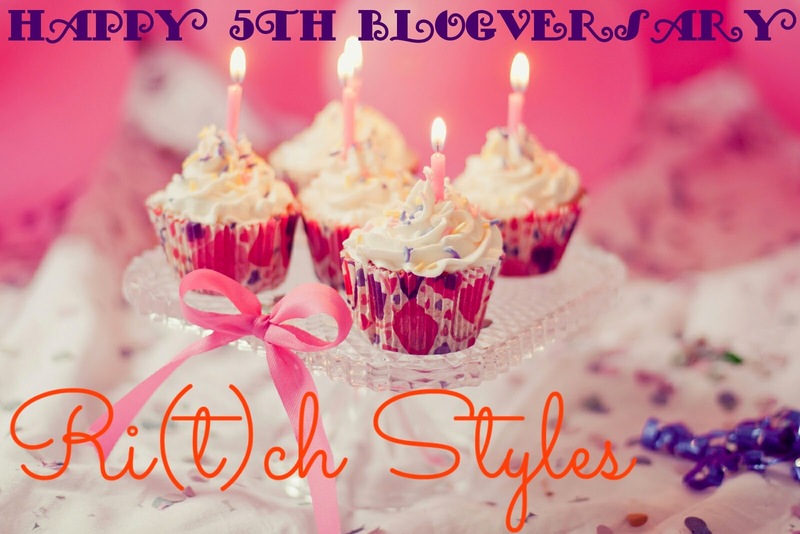 Cheers to many more 'Ri(t)ch and Stylish' years ahead! An evening to remember - All White in Rado! Sounds familiar to the the thought process of most successful personal style bloggers when you replace the word 'make' with 'wear'. 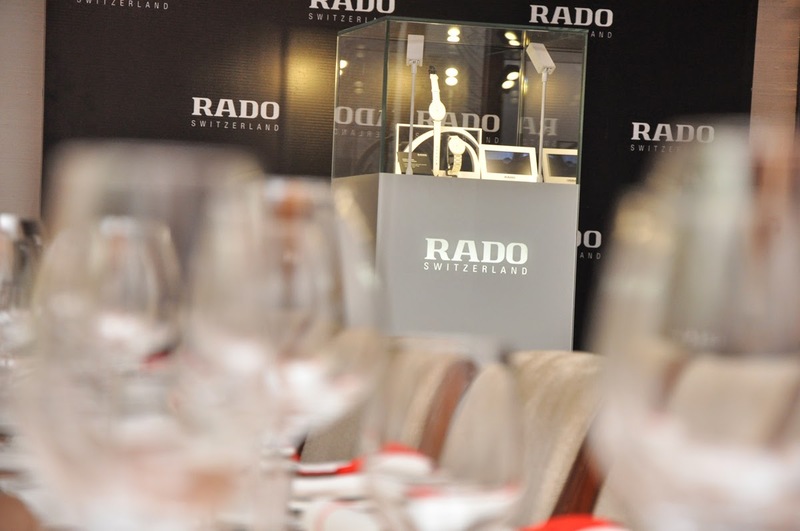 However those are the famous words that make for the vision of RADO watches, words that fed its inception in 1957, the start of an unusual success story. This vision inspired by an unshakable belief in the strength of technology turned a clockwork manufacturer into a world-class brand. An exceptional team of engineers, scientists, and designers set to work to create the impossible – and they succeeded. 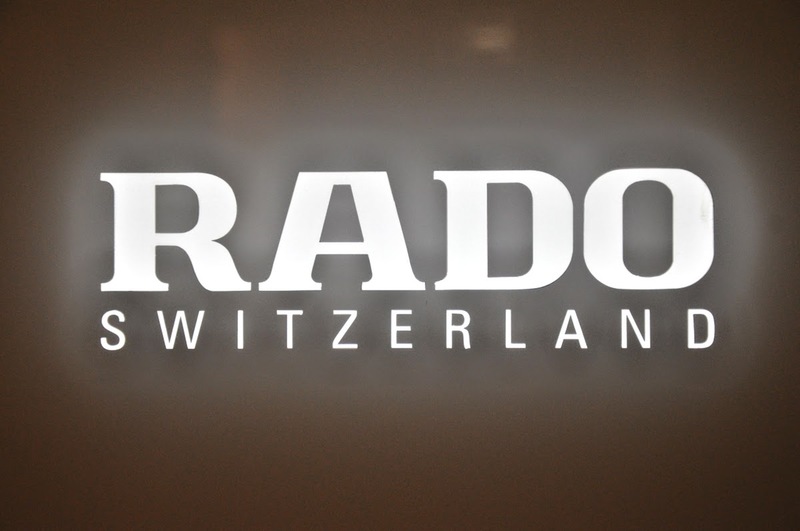 Started as the Schlup & Co. clockwork factory in 1917 in the small Swiss town of Lengnau, by three brothers Fritz, Ernst, and Werner Schlup, in 1957, it became Rado Uhren AG and the first watch collection was launched under this name. From there has been no looking back for them! 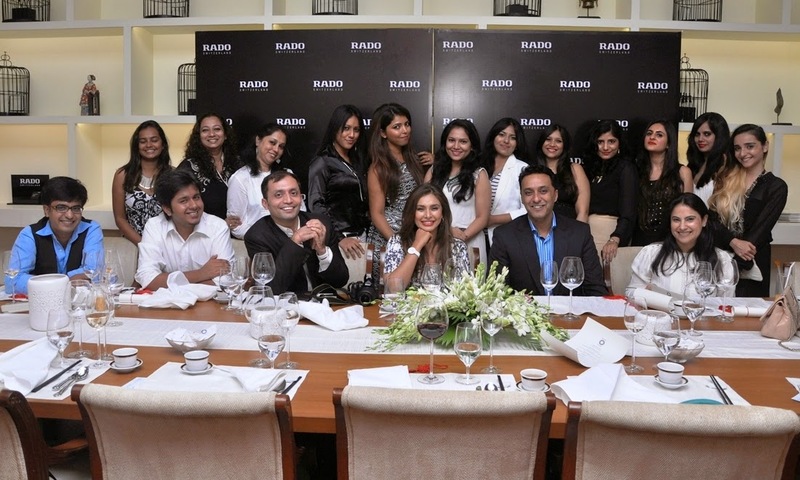 Involving a sit down dinner at the Taj Lands End, over a candid interaction with representatives from Rado and their brand ambassador Lisa Ray, we got into the heart of the elegance that goes into the making of a Rado Watch. 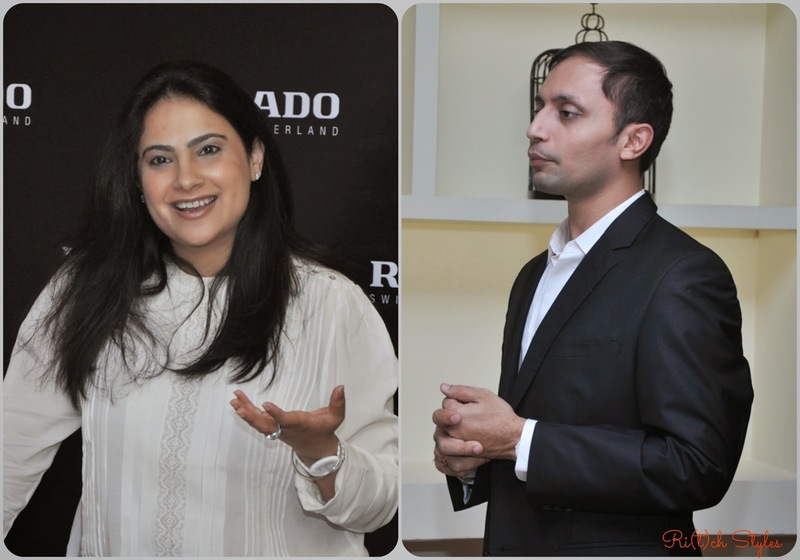 Innovation was the key feature of the evening, that we got to witness along with a journey into the heart of Rado's glamour and technology. 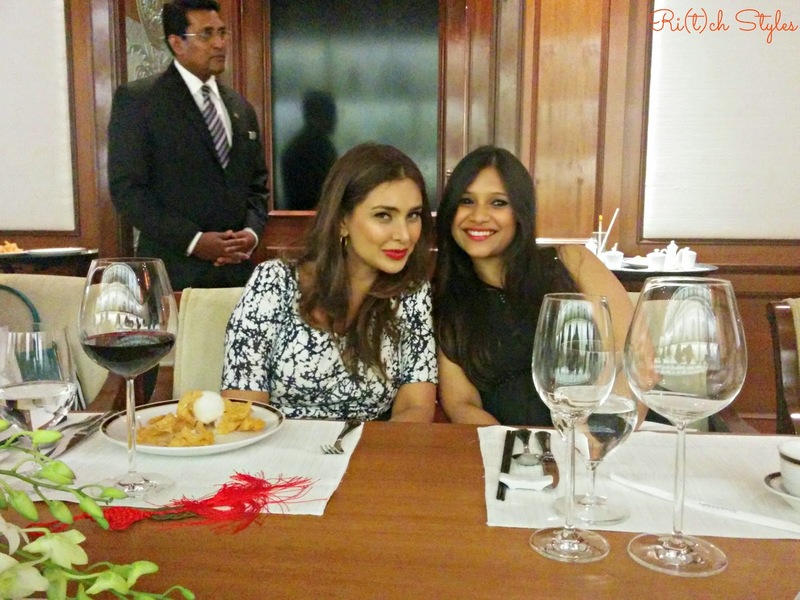 A big hello from the lovely Lisa Ray! 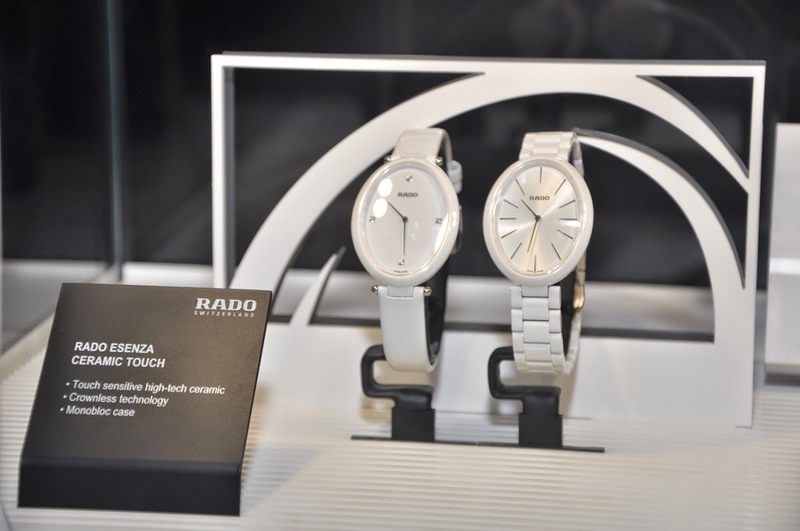 My favourites from all the watches that we experienced that evening was the "Esenza Ceramic Touch' Collection which is woman centric and the most advanced collection from Rado. It focuses on the concept of 'Touch' and is crownless. 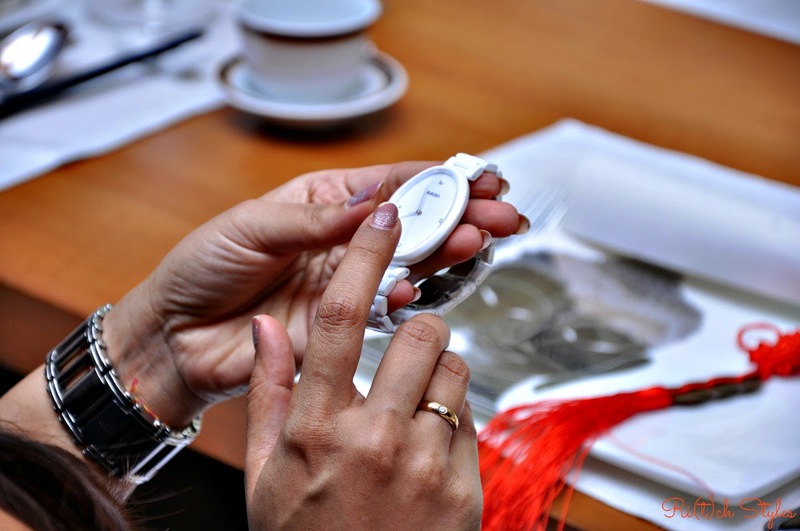 You can set the watches by softly touching the case of the watch to activate it and stroking its sides to make the minutes and hours fly by or turn back. 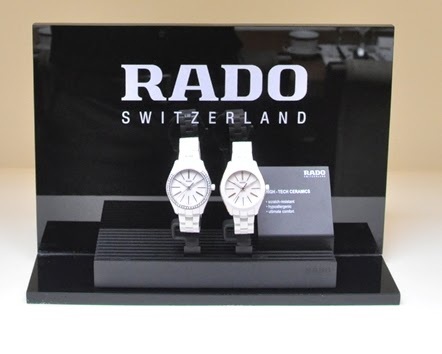 Made using round-breaking technology with high-tech ceramic and the famous Rado monobloc case construction, these timepieces are scratch-resistant, light and incredibly comfortable to wear. So while it may have no crown, it is surely fit for a queen. 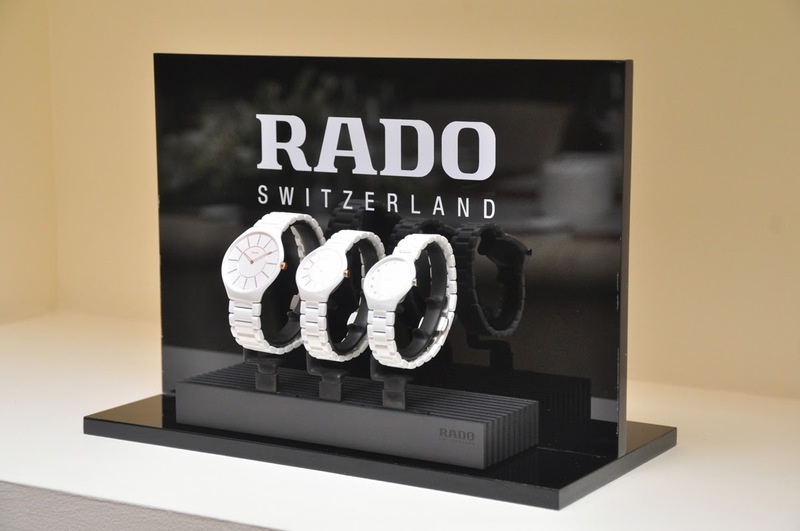 Rado is in the process of patenting this technology as they have the first movers advantage here! Being seated next to Lisa was the other highlight of my evening. 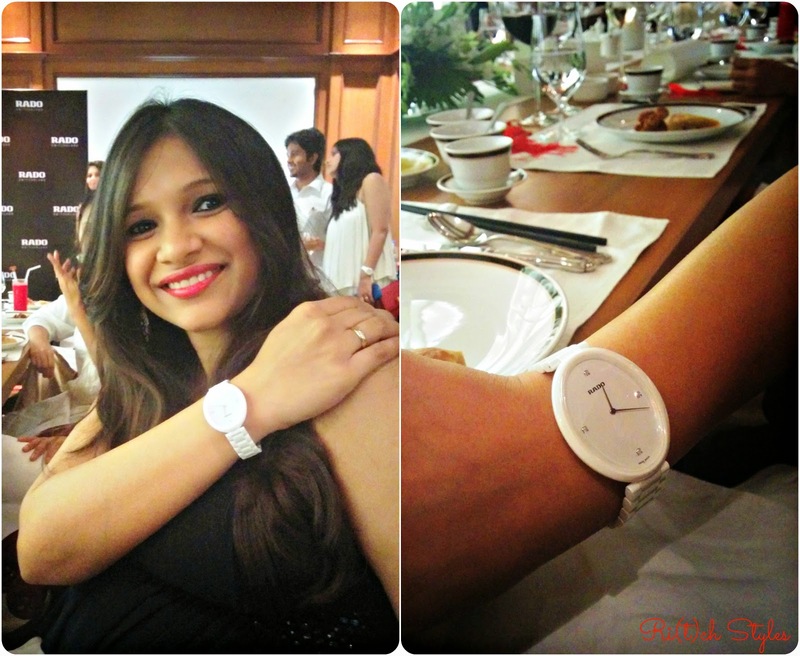 Our conversations rolled from fabulous watches, food, films, blogging to other fun topics and I found her very warm and approachable along with being super charming and drop dead gorgeous! She shines from within and the ease with which she talks about her successful fight with cancer, makes my respect for her grow even more. I'm soooooooo happy to share with you that my blog post - Pregnancy/Maternity Dressing for Special Occasions has been featured on this week's Independent Fashion Bloggers’(IFB) list 'Links à La Mode', a weekly curation of the best 20 blog posts from around the world. Those of you who are unaware about it, let me give you a few details. Independent Fashion Bloggers cultivates a community for international fashion bloggers to share their experiences and create a resource so everyone can build a better blog. The 'Links à La Mode' is a list the features the best 20 articles on fashion chosen from a long list of submissions by bloggers who die to be on this list. This is my first feature in the round-up and I am on top of the world! 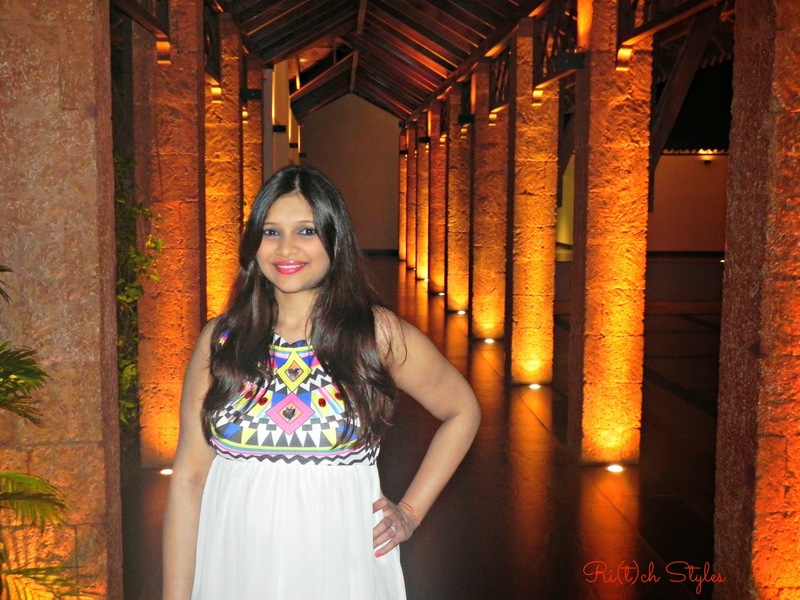 Do check out the other fantastic bloggers too who have been selected with me in this round up. 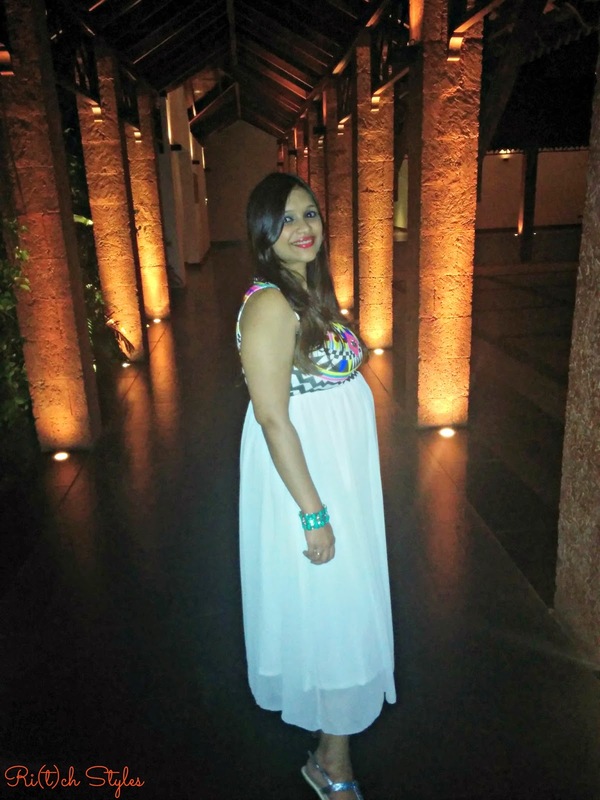 Most people think dressing during pregnancy is a chore, especially when you have an occasion to attend. When I got pregnant, I thought the same. 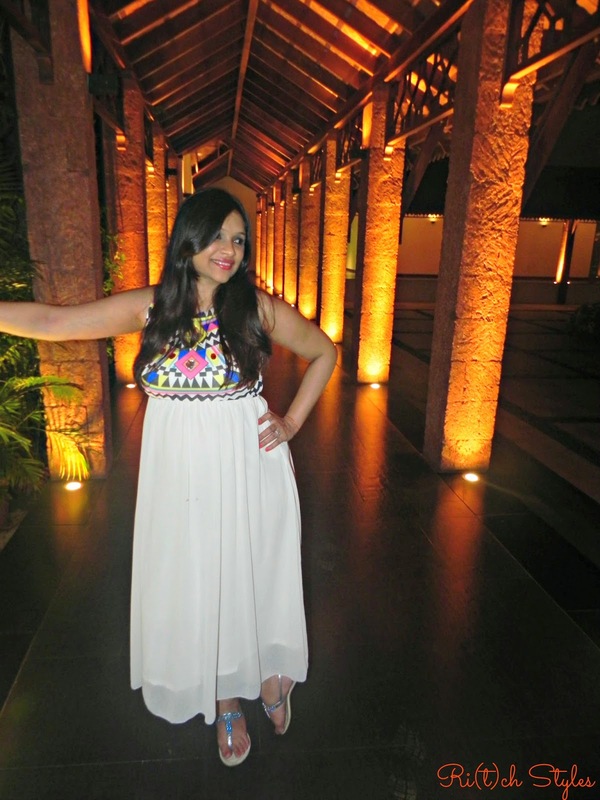 However getting myself at ease with certain ideas and thoughts, helped me decode some really easy tips to continue using my existing wardrobe and continue to wear some of the pretty dresses I own, for special occasions. 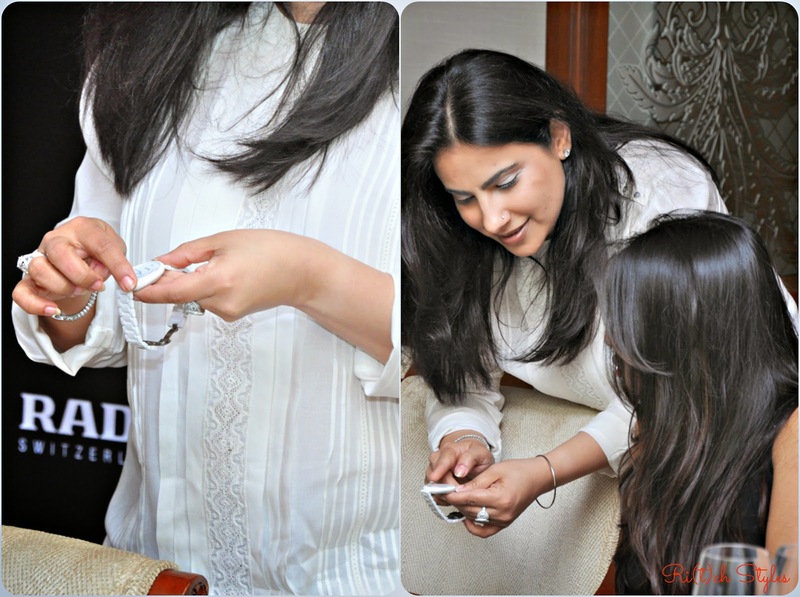 When I say special occasions, it could mean anything from weddings, parties, movie premiers to date nights :-) You can also keep these tips in mind while picking up new outfits for special occasions. A lot of people like to hide their belly. 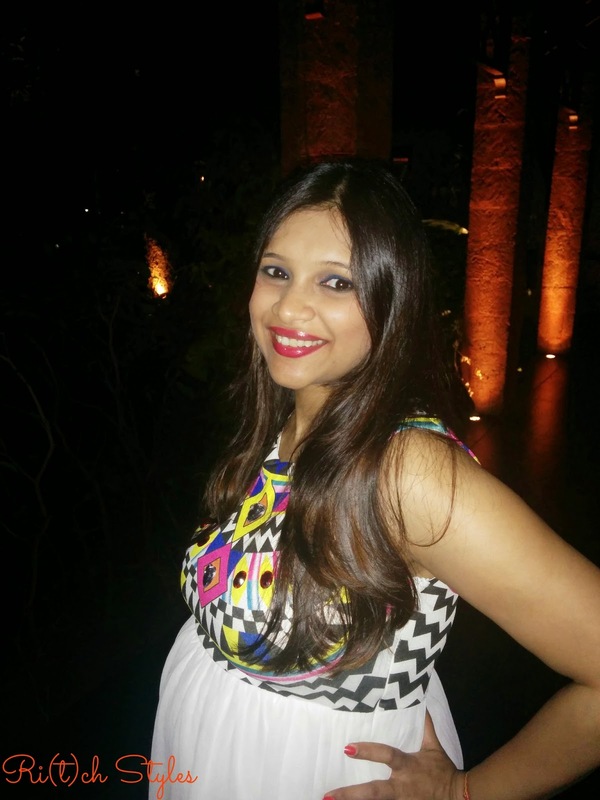 In India we have a lot of superstitions surrounding it which I am not going to get into, but after the first few crucial months, when the critical stages have been passed, I see nothing wrong in showing your bump. To flaunt your belly along with staying comfortable, choose dresses that are snug in the bodice and have a looser skirt area that is free flowing around the hips and stomach. Make sure the bodice is well fitting and not tight so that in sometime you don’t start gasping for air! 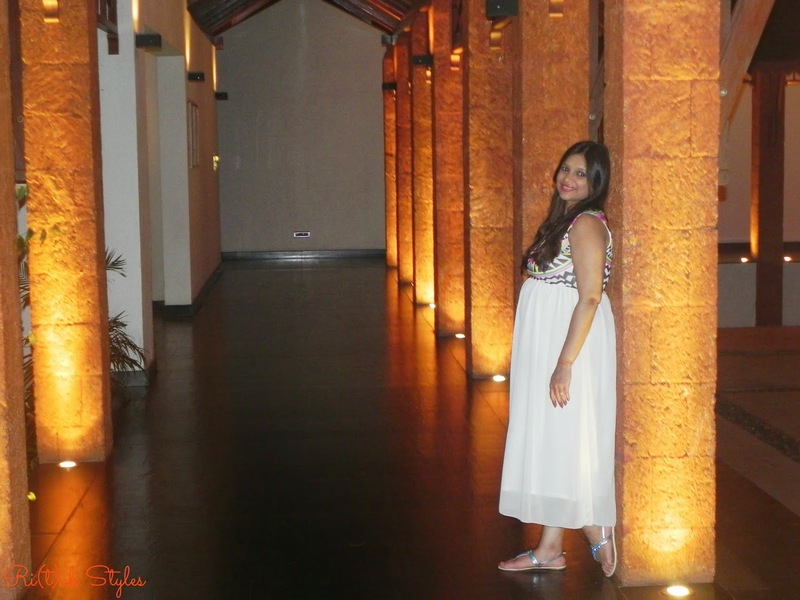 Special occasions mean fun times and when your heading out is restricted during pregnancy, the few times you head out, you want nothing to spoil it. Avoid any discomfort in your outfit by planning ahead! Choose a comfortable dress which will also fit you a few days/weeks ahead depending on when the occasion is planned for. Plan and keep your footwear comfortable too, especially if it involves being on your feet for too long. The dress you wear should be of an appropriate length which means not long enough to cause you to trip! That could just be too disastrous! Also if you must wear heels (not a good idea), then stick to wedges as they provide more stability and a base to your entire foot. However try and avoid heels after your second trimester. Pregnancy makes you feel as if your body has an additional heating system within. This happens because you have around 40% more blood pumping around your body to cope with the needs of your unborn baby. Hence, the material of your dress (especially in summer) needs to be such that it can let your body breathe. So, stay away from synthetics as much as possible and choose more of cotton and non synthetic georgette and chiffon. My tip would be 'Keep it Simple' and let your pregnancy glow show! However, whatever make-up you do use, make sure it is the long lasting and water-proof as you don't want to be rushing for touch-ups in your already heavy state. 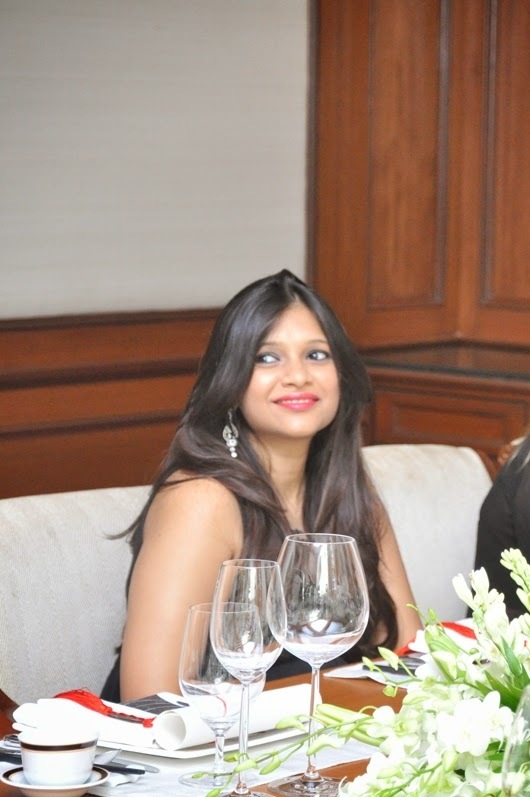 If you want a RED Lipstick that doesn't bleed and doesn't wear off weirdly in bits after food and drinks, then try the L'Oreal Paris Color Riche Moist Matte Lincoln Rose (YES, exactly the shade that Aishwarya Rai Bachchan wore at Cannes) and watch it stay in place even after a complete meal! 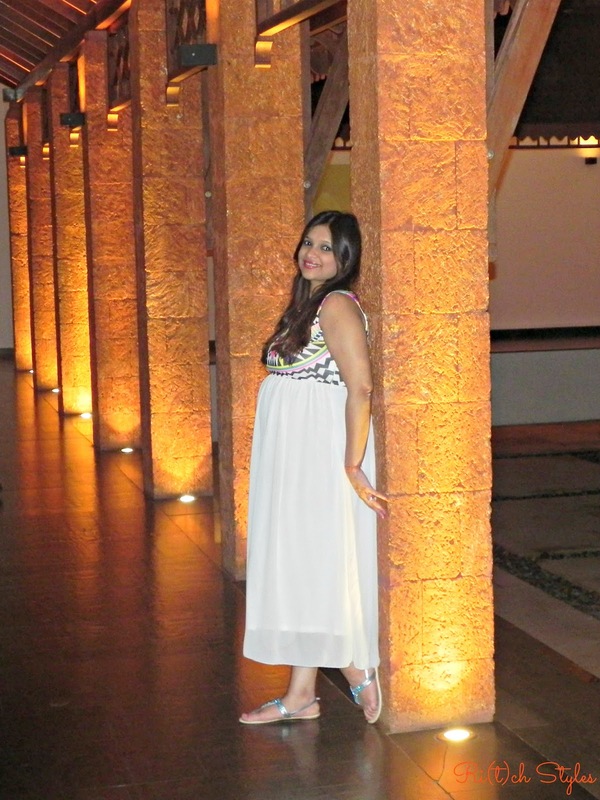 I loved the lit up passages at the Alila Diwa so much that you see I couldn't stop clicking pictures there. Also, you must also get a glimpse of the lovely dinner we had! Hungry?! 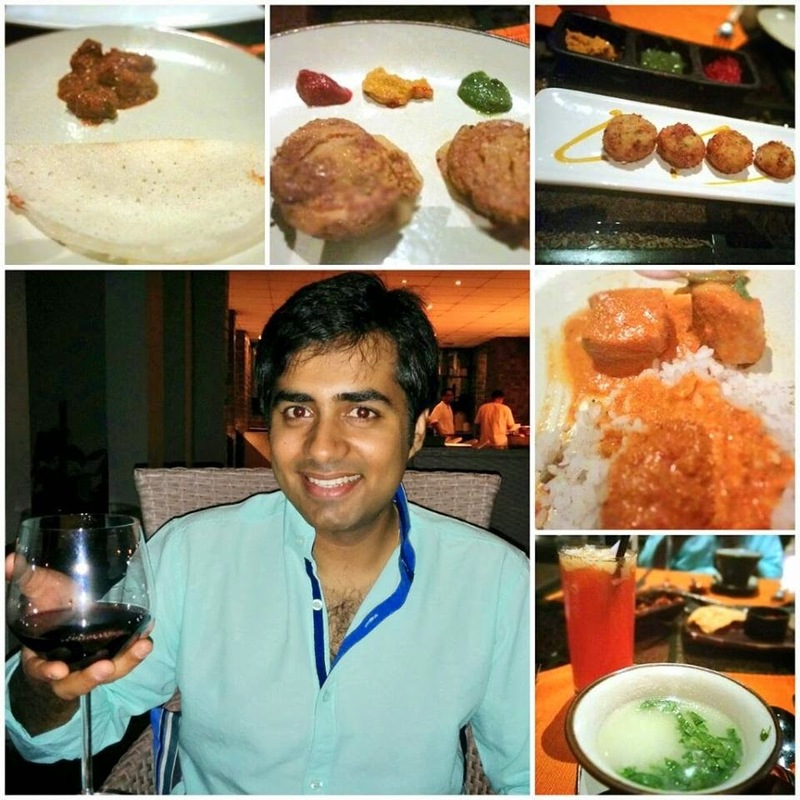 ;-) I would highly recommend the Goan Potato Soup, Dhabewala Mutton with Appam and the Fish Curry Rice here.